I was sweating my way up the Goderdzi Pass in Georgia, the twisty road over the mountains near the border with Turkey, when I saw them hurtling towards me. It was three American cycle tourers smiling, caked in mud and enthusiastically warning me about the ensuing slippy mucky 50km that I was about to face. It was Day 50 of the trip and I was less than 4,000 miles in. A few days later I stayed with a friend in Tbilisi but was reluctant to leave. I finally headed east towards Azerbaijan, the Caspian Sea, the Kazakh Steppe, the Gobi and Taklamakan Deserts, China and Vietnam. 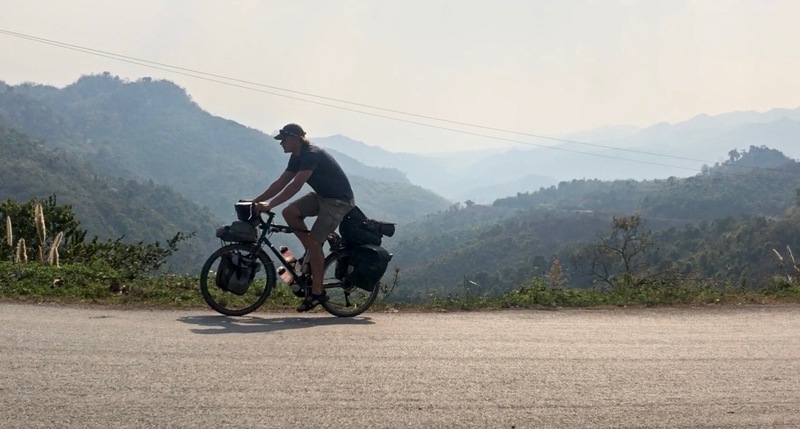 I knew they were out there somewhere, pedalling away in different places across Asia, but I had not seen another cycle tourer on the road in 165 days and over 7,000 miles of cycling. I knew there were some in Kazakhstan and China, even near the remoter places I had been because we had spoken to one another on WhatsApp or Instagram. But that thrill of a hearty wave and slamming of the brakes in order to stop and chat roadside to fellow two-wheeled vagabonds had been something lacking. 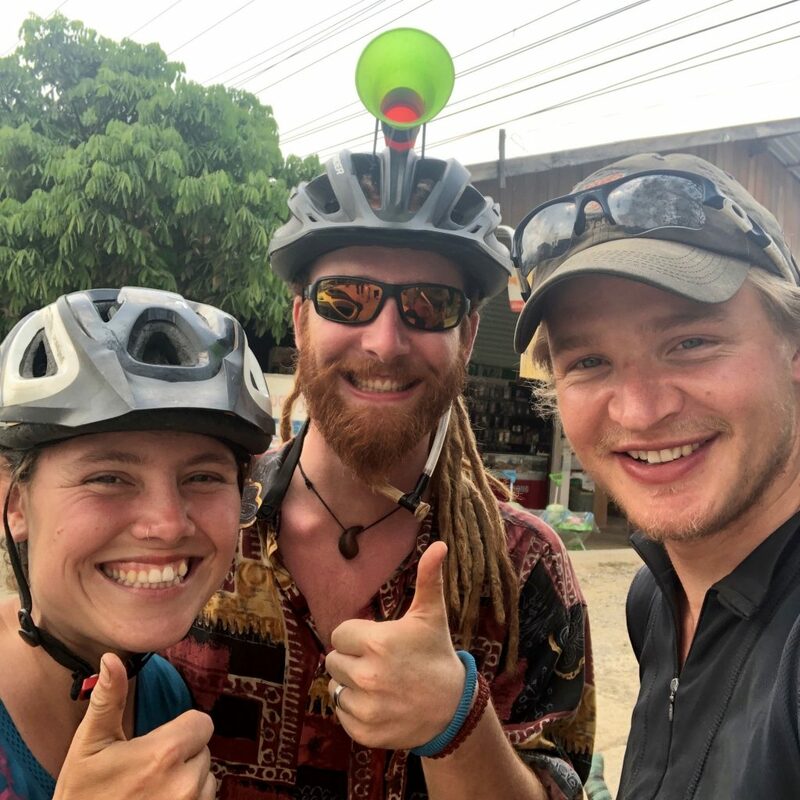 I was happily sat in a small café with a bowl of Pho when two people came up to and said, “We saw your bike and you sat here so thought we’d say hi.” Welcome, Elis and Lukas, two cyclists who had spent over 18 months pedalling their way from their home in Germany to the mountains of Laos. It’s such simple and yet reassuring pleasure, the knowledge of shared experiences. We could discuss our similarities and differences of routes, equipment, lifestyles, challenges, lowlights and highlights. We deliberated over future plans both great and small. 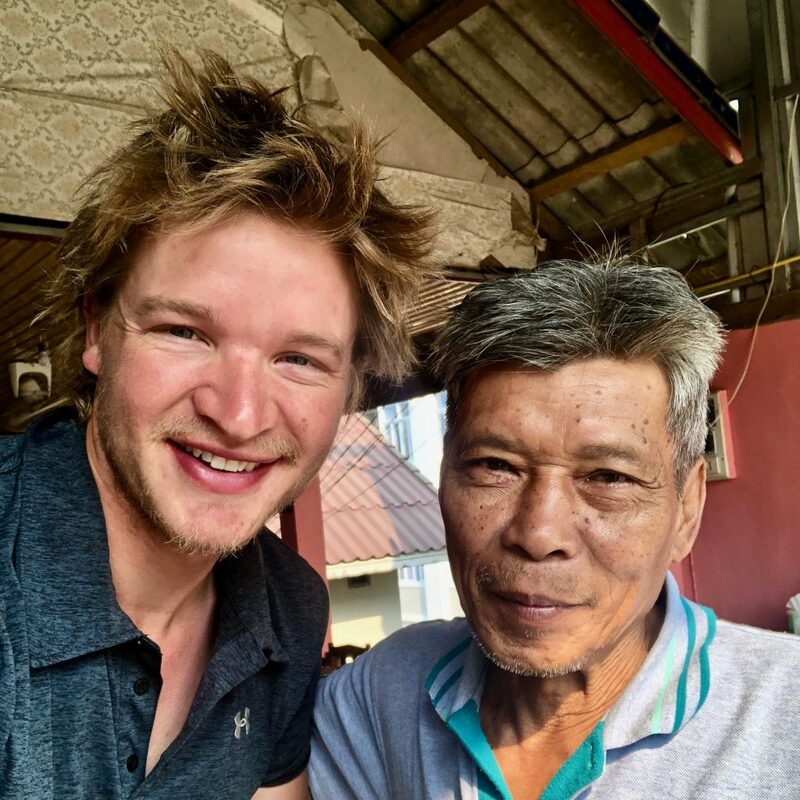 We were just fellow cycle tourers who met on the road, had some beers and will follow each other’s journeys; just fellow travellers seeking the freedom of a bicycle in unfamiliar lands far from home. And yet, from my perspective, as when I crossed into Vietnam, it felt another small moment of progression and civilisation. 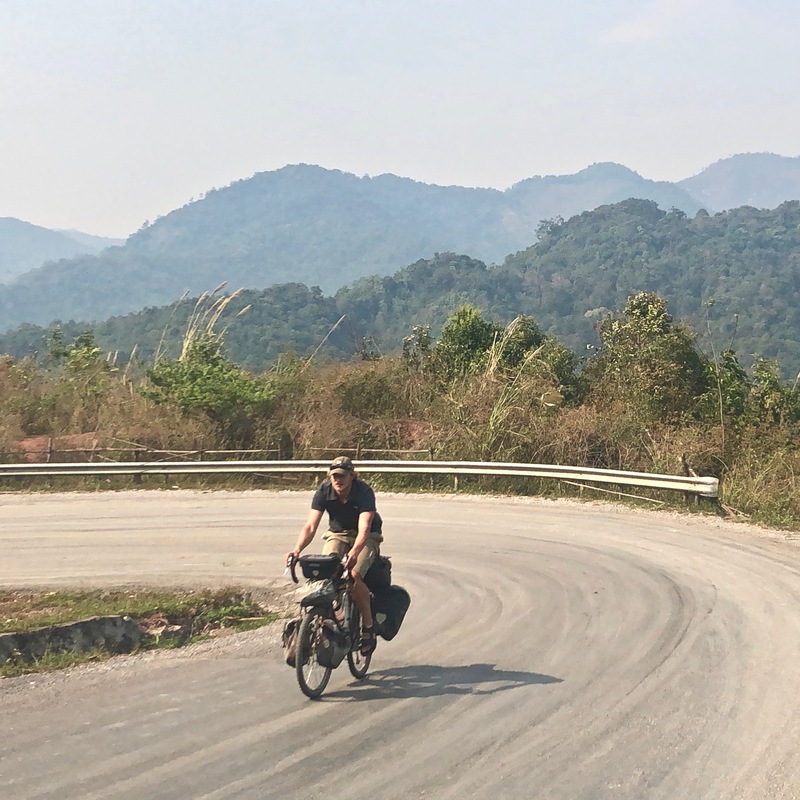 Overlooking the politics or the weather of the previous few months, it was fun to be in a region with other cyclists around just exploring and roaming the roads of SE Asia. 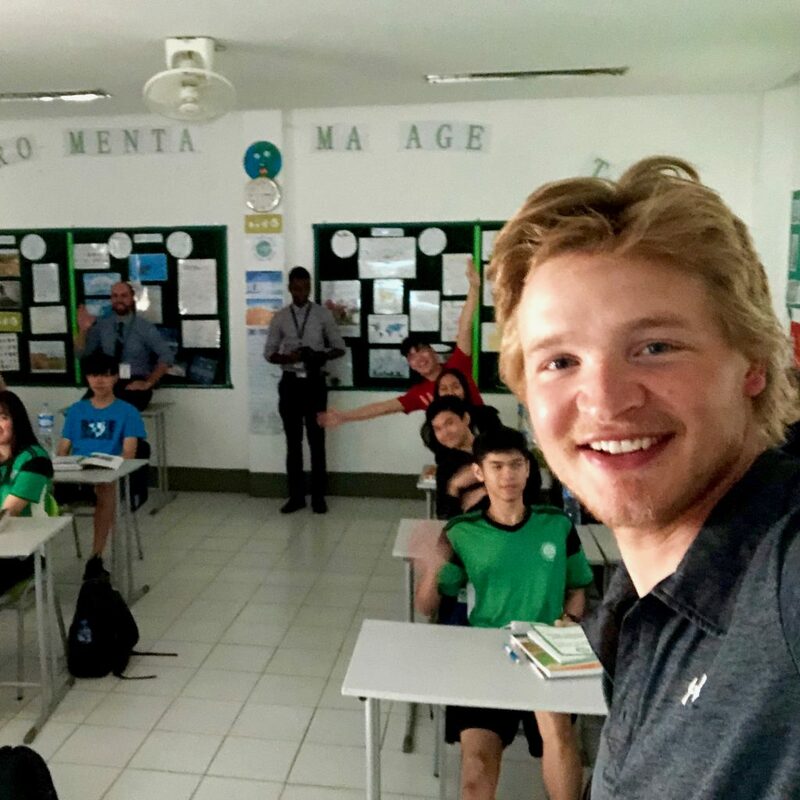 I called my last post on Vietnam ‘A Perfect Antidote’ because, well, post-China, it was. An antidote for a number of reasons but the enthusiasm and joy I encountered going across that country could not have been more contrasting to what went before. 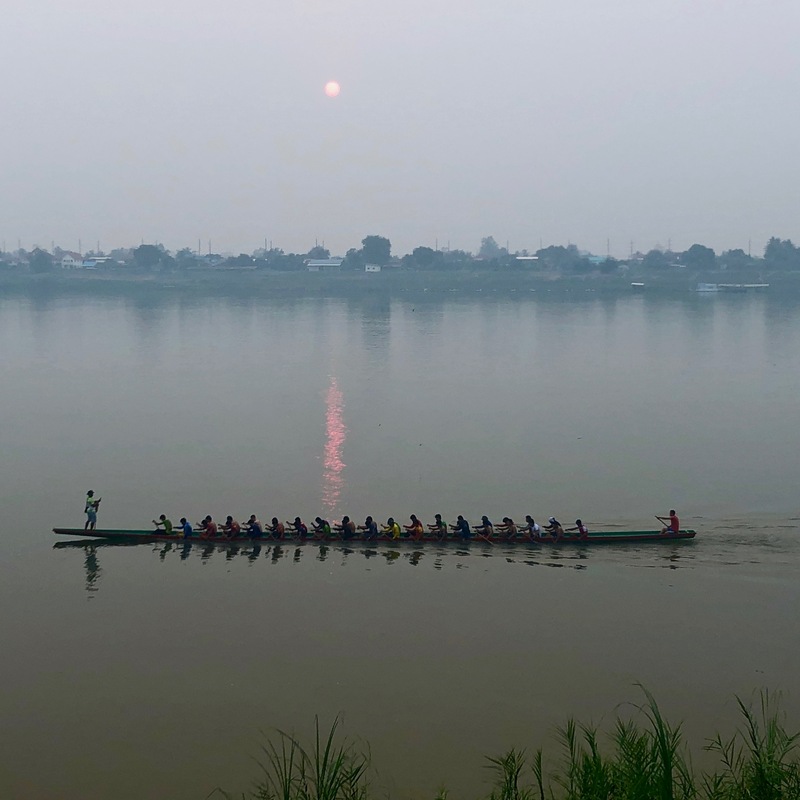 I had heard such positivity about Laos that I was excited to get going again. 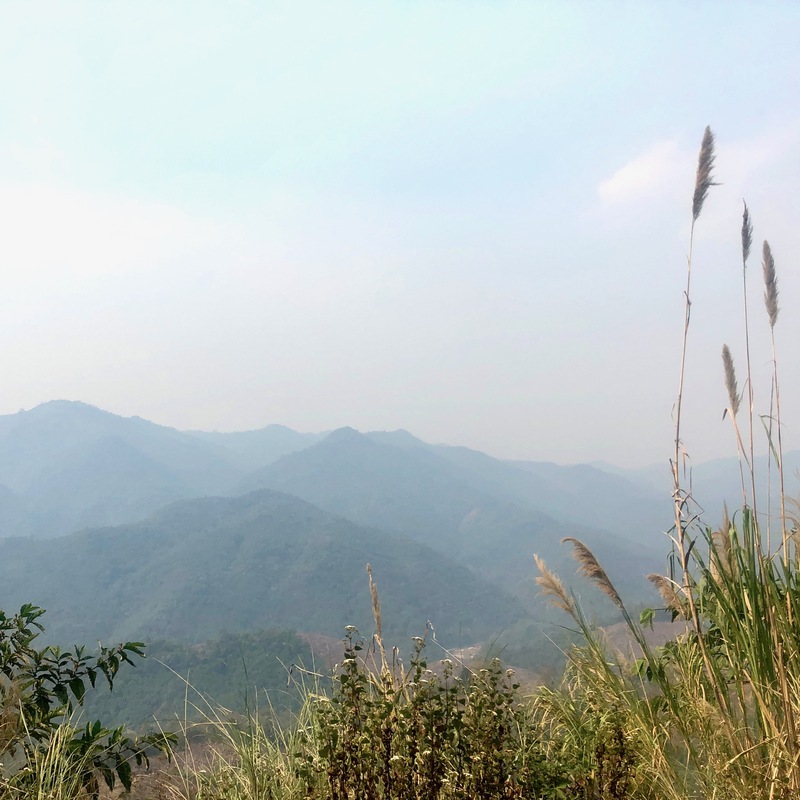 The border crossing from Vietnam to Laos was a mere 20km away which turned out to be totally uphill. I did require a little cooldown period before heading through customs in order to project a semblance of respectability and enable a smooth entry to their country. 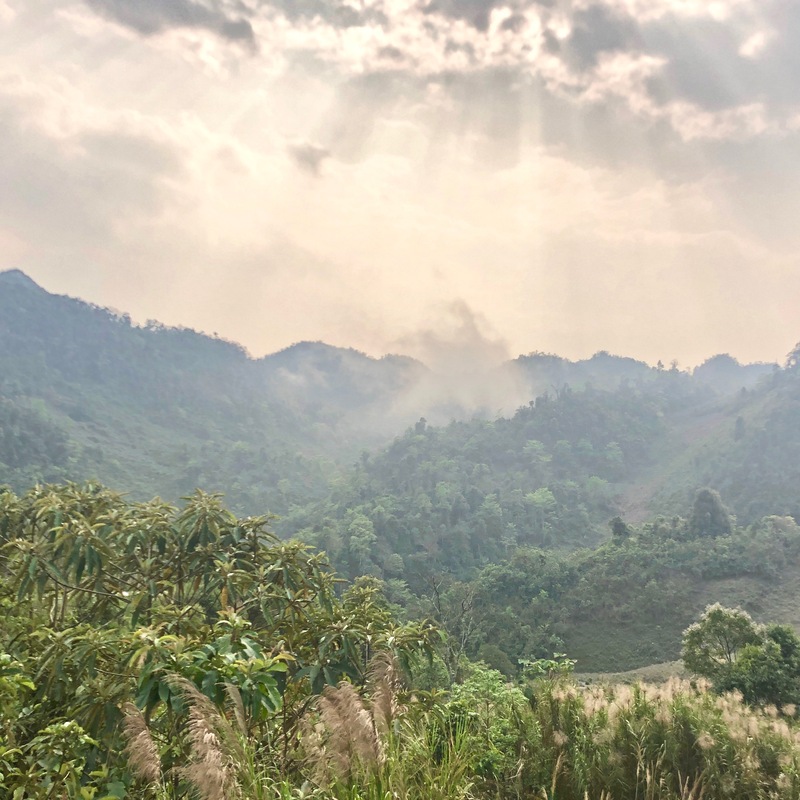 It did the trick and a simple border crossing meant that I was now in Laos amidst those glorious green mountains and ready to explore. As usual, the first day was a little unrelaxing as a few boxes always need ticking to reduce unease. The first one is a working ATM which proved to be an issue. After that though, I usually find a local SIM card, try to work out what’s what, get my head around the currency, the vague price of things and the language basics. Once those have the green light then I’m good to go. 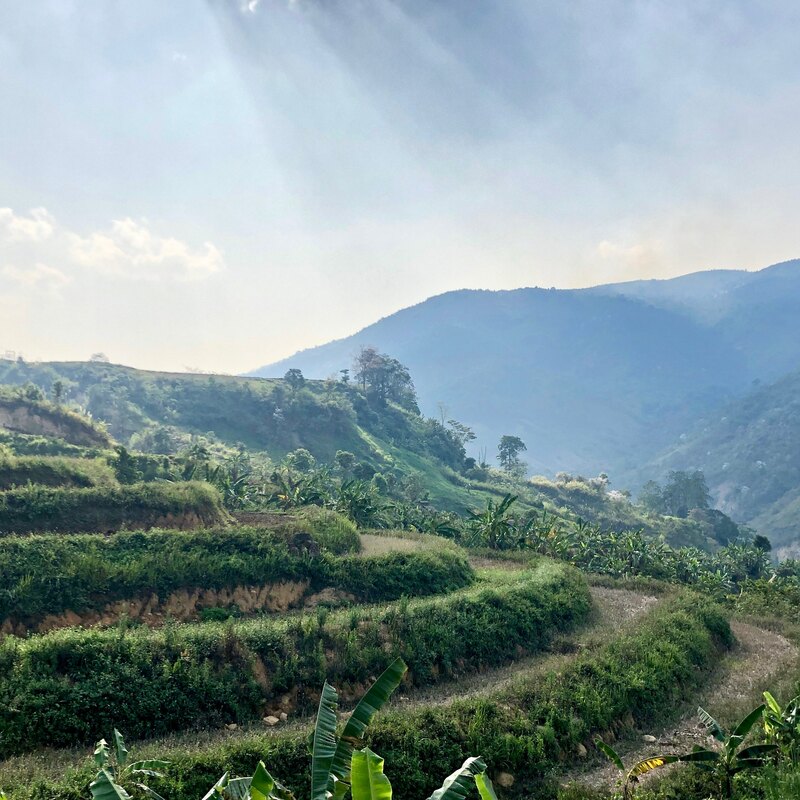 I can assure you, as many will have experienced, that being in a new country without money or means of communication is a tremendous way to heighten levels of anxiety. 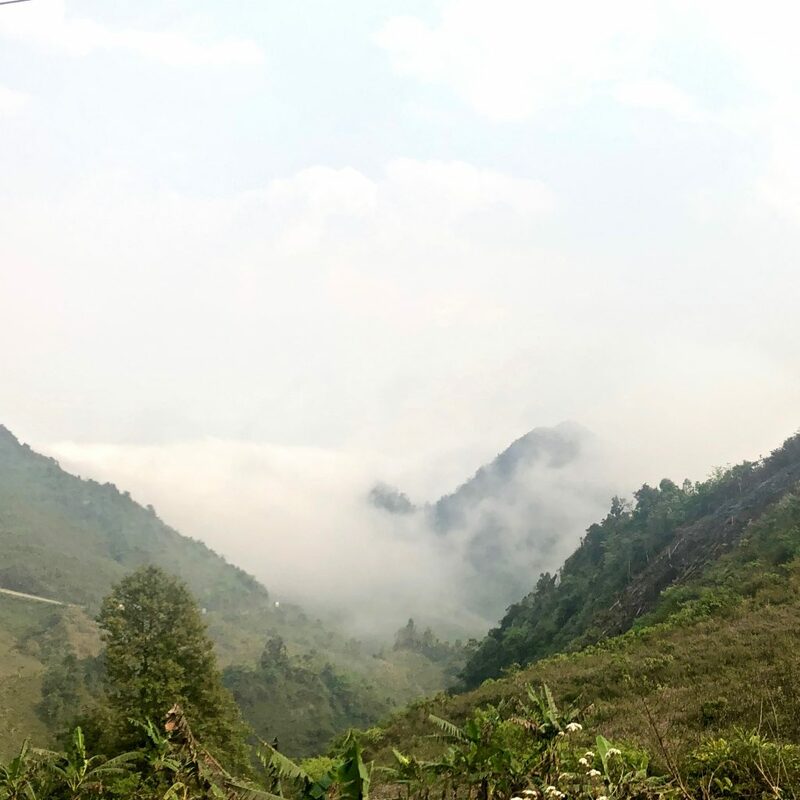 The steep mountain roads guaranteed a good test for the legs, while the small villages and smiling children were a pleasant continuation from Vietnam. Border crossings do sometimes represent a glaring cultural shift; at other times the changes are more gradual and progressive. Thankfully this was the latter so my affection for Laos was granted quickly. 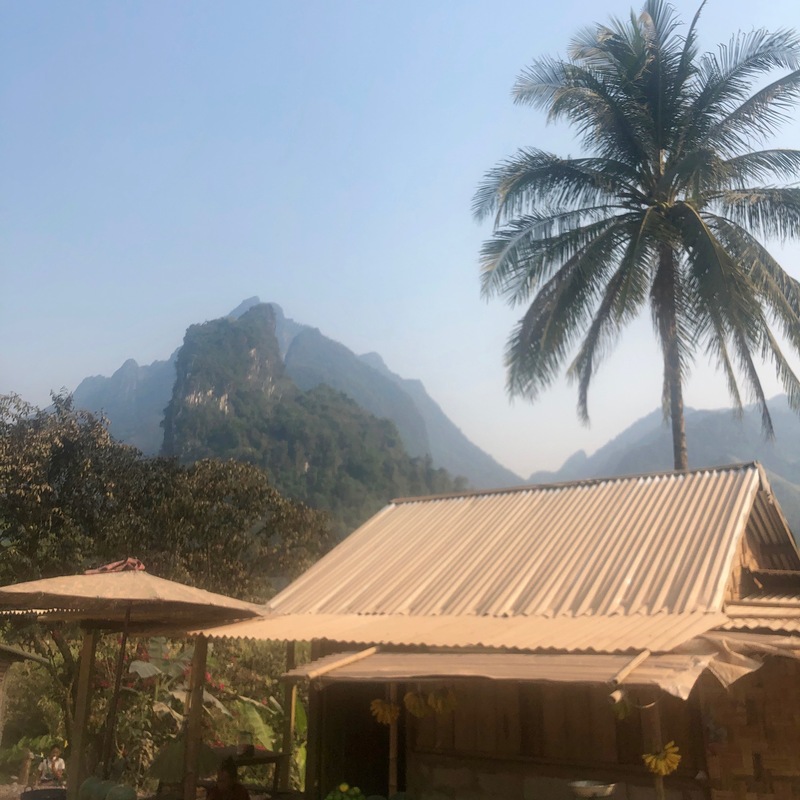 The most important phrase to know in Laos, and one that is totally unavoidable from the moment you enter, is Sabaidee, literally meaning ‘it goes well’, but has a variety of functions as well. Cycle through, or just visit Laos and you’ll get used to this as a form of greeting. 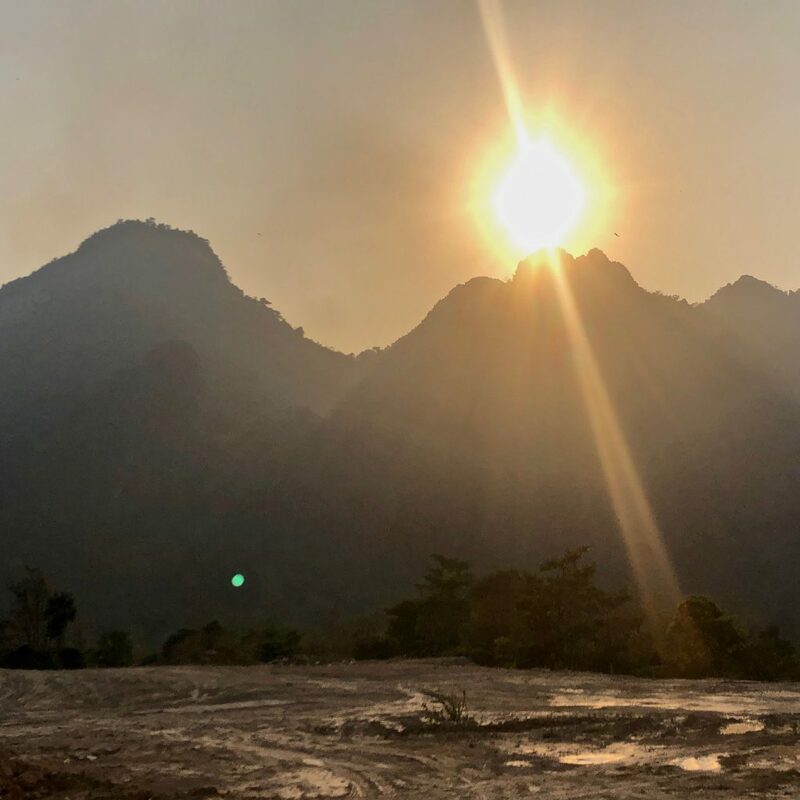 Laos is a very Buddhist country and the people tend to avoid confrontation or public displeasure for the far more desirable outcomes of contentment and peacefulness. 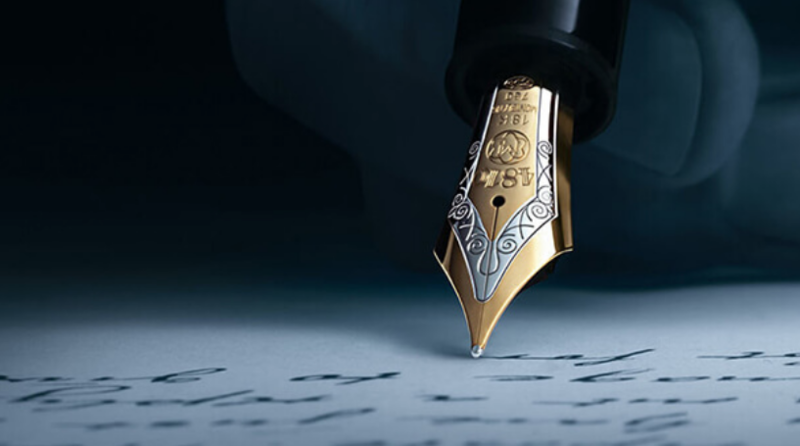 Although a broad brushstroke across an entire country, the sentiments behind their Buddhist beliefs and cultural norms make it a highly welcoming and enjoyable place to travel. Although tourism in some areas is significant, it was markedly less than in Vietnam and, especially in the rural mountainous regions. 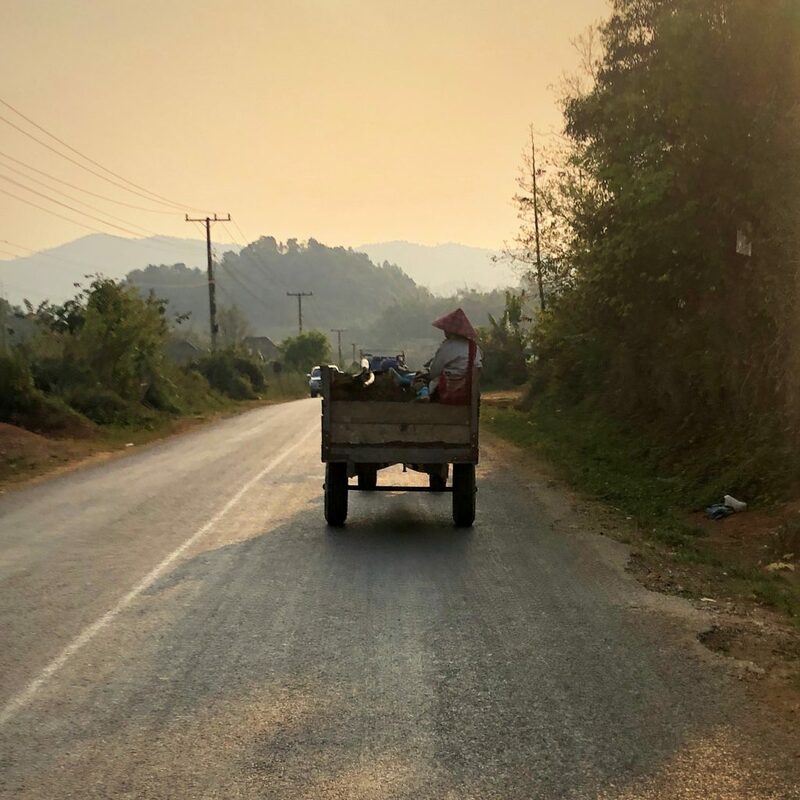 Village life in Laos is relatively simple with a focus on farming, fishing and local markets, which made for a lovely opening stint and, to quote a great song by the Eagles, it provided a Peaceful Easy Feeling. The long winding ascents and heat meant that on consecutive days I would end up cycling through dusk with lights on to reach my destination. 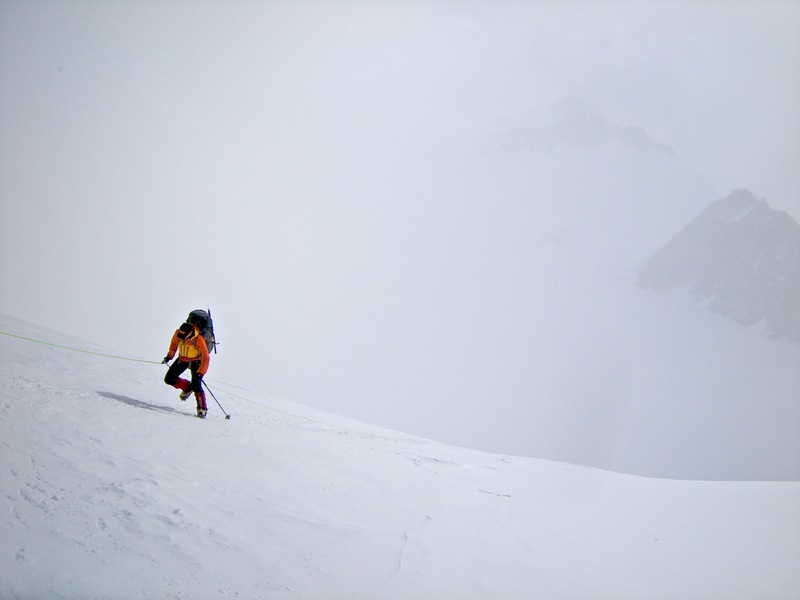 As with the big mountain ranges in China, you have to factor in the enormous impact of the steep gradients when route planning or it is possible to get very caught out. Some people recommend cycle touring in SE Asia without a tent because of the propensity of small guesthouses, but for me, it’s an absolutely essential bit of kit that always provides you with shelter even if it isn’t part of the daily plan. My options in terms of road choices from the border were limited. I was on the number 7 road for several hundred km’s going up and down continually but generally heading west. 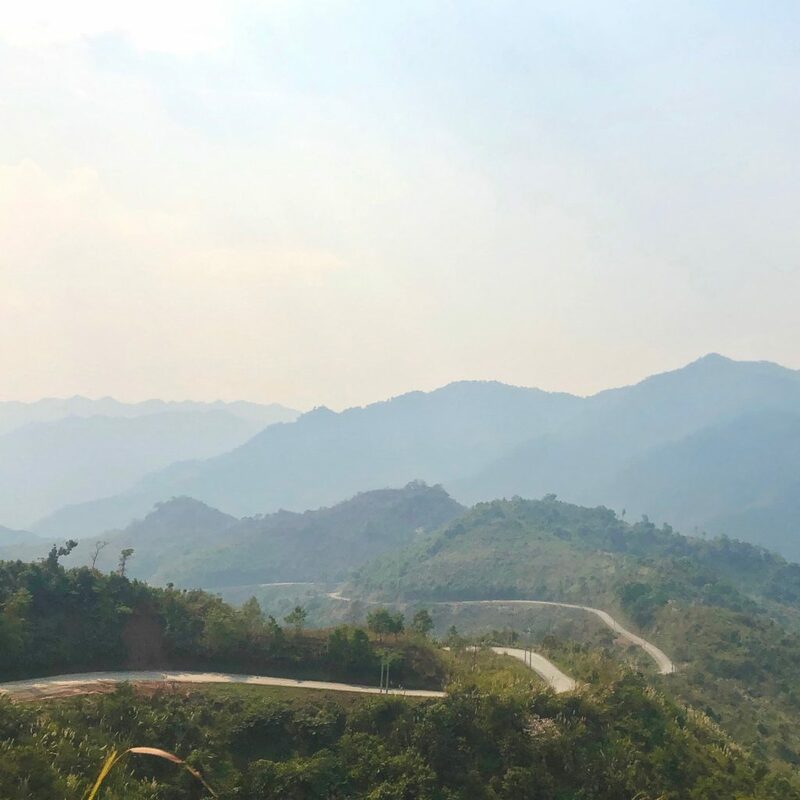 I knew when I reached the town of Phou Khoun, I would hit the 13 road which runs north-south in Laos, and would be predominantly downhill. The latter is usually a bonus/reward for the hard work going up but it was starting to become a bit more of a necessity. Poor Dorothy has had to go through a lot and needed some TLC. Chains on bikes need replacing quite regularly – 2-3,000 miles is a good barometer. 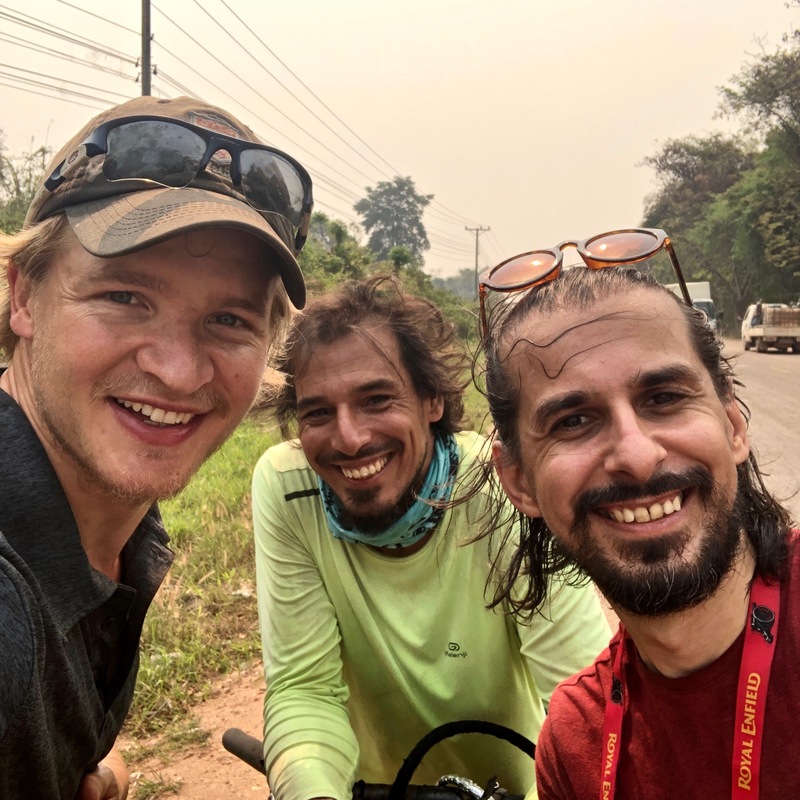 I had done a whole lot more than that in some terrible conditions in the hope that I could get to a proper checkpoint (Vientiane) and have a proper admin stop. Lesson to self…again. Despite several decades of cycling and adventures, I often ignore that prevention is better than a cure and bike chains are no different. I made it to Vang Viene and was delighted to meet up again with Jack and Helen. They are the British couple I met when we crossed the Caspian Sea together on that memorable ferry trip. They’ve been travelling around since and thankfully our schedules and the stars aligned. It was an absolute pleasure seeing them, having some cocktails and sharing stories about the preceding six months. They generally take trains and buses and have been on a cracking journey since leaving the UK 16 months ago. As much as not seeing another cyclist surprised me, and as brilliant as seeing Jack and Helen was, an aspect of the stint from Georgia that I found tough was not seeing a familiar face from home. 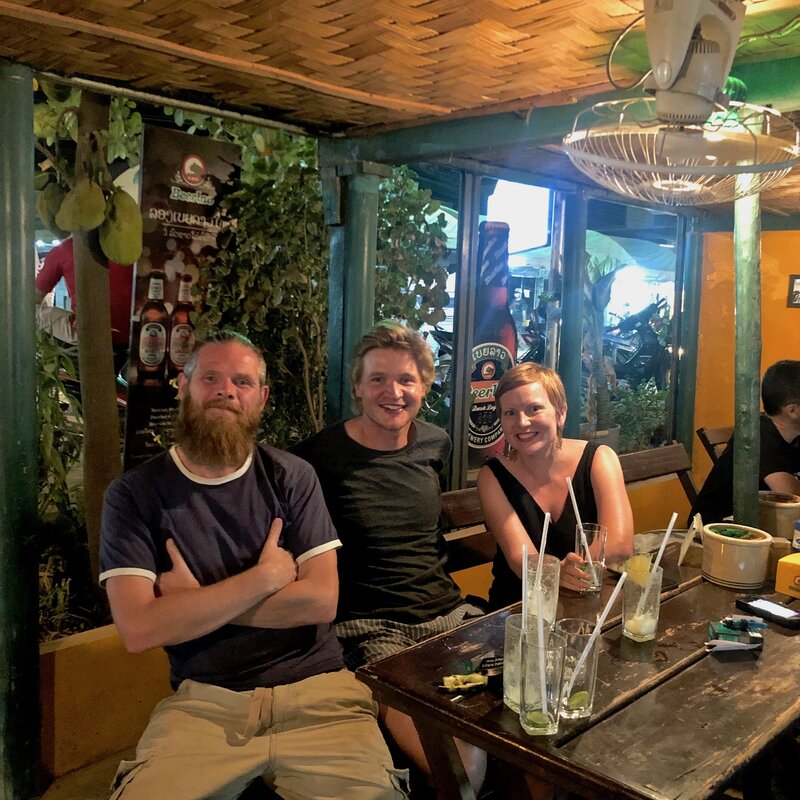 It had been over 5 months but I knew Celia was in Vientiane, the capital of Laos, which was a huge motivating factor to keep pedalling hard (or as hard as I could with my chain drama). 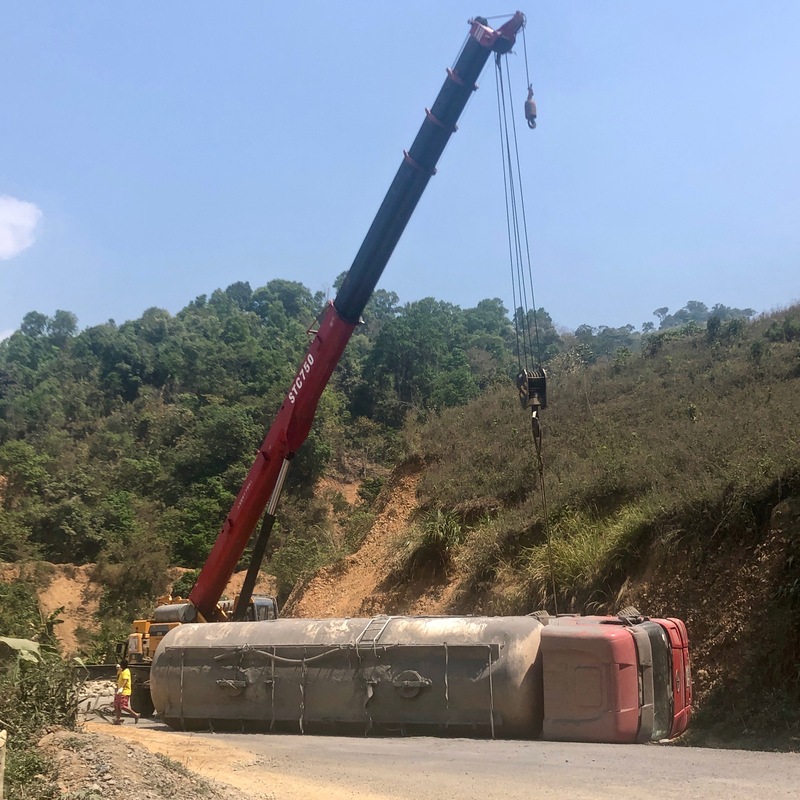 The 100km of road to Vientiane along the 13 is not a popular one amongst cyclists with the famous red dust being kicked up in your face from a regular stream of big trucks. Sweat, dust, burning sun and now just a couple of working gears made for an irksome push to the capital but it was worth the effort. I followed Celia’s directions and was told, “It’ll be made obvious which house is mine.” The sign on her gate made me laugh and immediately provided a sense of comfort. Having been isolated for so long, the feeling of seeing an old friend in a far-off country was truly wonderful. I guess you don’t often appreciate the things you have until they’re gone. For so long, I had Vientiane as a checkpoint to see a friend again and then it happens; it was truly heart-warming to hug someone and feel at home. 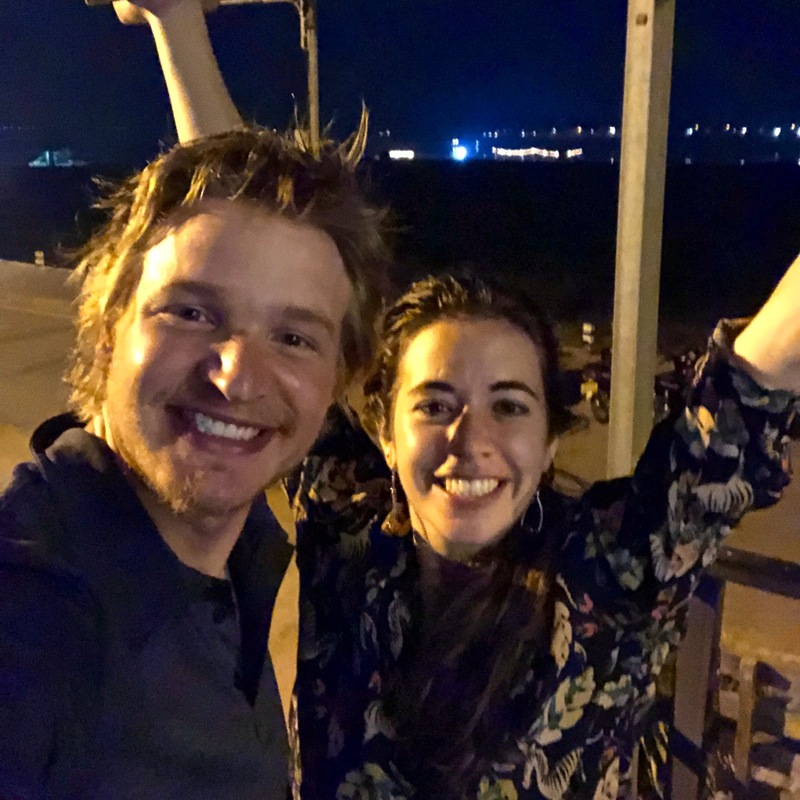 I could not have wished for a better companion to stay with, genuinely relax, ride scooters, drink beers, deliver a talk at her school, watch Les Mis and right the world’s wrongs. Quite honestly I felt I could have remained in Vientiane for a lot longer than I did and it was a real difficulty to summon the mental energy to leave. The end of my stay in Laos brought a lightness to this trip that had certainly been lacking. 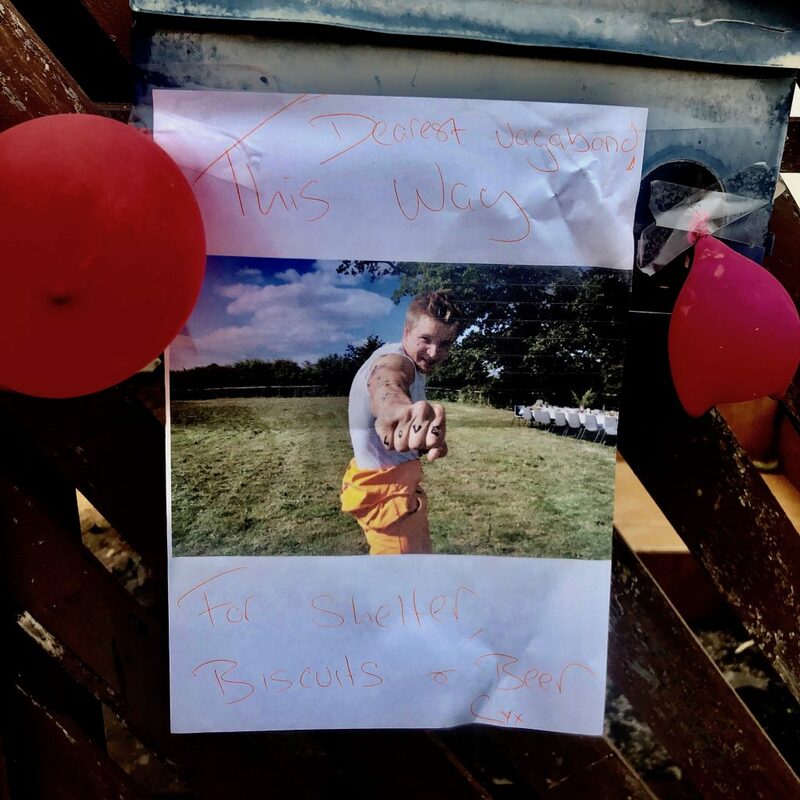 I feel so grateful and blessed to, once again, receive the kindness of people going out of their way to help me along with this journey I’ve chosen to undertake. Next stop is Thailand…it should be good!